Is your roommate eating up all your food? Are you tired of reaching for that bag of chips you bought, just to find that Fatty Mc. Fat Pants ate them while you were in class. If so -- then do I have some news for you. 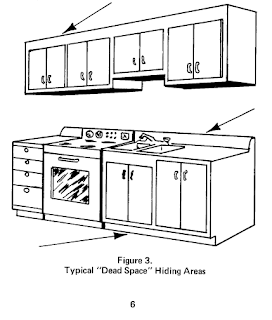 With nothing but a few tools, some time when your roommates not around, and this free pdf book The Construction of Secret Hiding Places by Charles Robinson -- you can kiss those chip-less nights goodbye.